The State University of Maribor ranks second among Slovenian universities being only behind the University of Ljubljana. The higher educational institution located in Maribor has 17 faculties. The Faculty of Civil Engineering, Transportation Engineering and Architecture (FGPA Faculty) is of steady interest among Slovenian and foreign entrants. The study programmes offered by this faculty are notable for their relevance, social significance and practical orientation. The FGPA Faculty offers two Master’s degree programmes in English: Civil Engineering and Architecture. The training is conducted in internal study mode. Both study programmes are available to foreigners with a Bachelor’s degree. In order to successfully absorb the study material, entrants must know English at least at B2 level. The duration of study at both Master’s degree programmes is 2 years (4 semesters). The contents of the study programmes correspond to the Bologna Declaration. An obvious advantage of entering the University of Maribor is its reasonable tuition fee: one year of studying under a Master’s degree programme costs 1,750 EUR. This is noticeably lower than the cost of training on similar study programmes in Germany, England, the Czech Republic or other European countries. Affordability is a very important argument in favour of the University of Maribor when choosing a place to study abroad. Master’s degree programmes offered by the FGPA Faculty are aimed at training specialists with deep theoretical knowledge and necessary competencies. As the FGPA Faculty Dean Prof. Dr. Hab. Miroslav Premrov notes, the modern labour market requires specialists in the field of construction and architecture, who have knowledge in related fields. That is why said study programmes include a complex of professional and auxiliary subjects. The motto of the University of Maribor is “Create Your Future!” This university offers ideal conditions for students to receive theoretical knowledge and practical skills that will be necessary after graduation. The university is famous for its modern teaching and resource base and high professionalism of the academic teaching staff. The FGPA Faculty has well-equipped classrooms and workshops, a library and a reading room with a rich fund of educational and scientific literature, a sports complex. Students who study under the Civil Engineering and Architecture Master’s degree programmes are united into small study groups. Thus, teachers can unlock the potential of each student. The faculty pays serious attention to the independent research work of students. Work placement is a very important component of the educational process. Students pass it in leading construction companies and architectural bureaus of the region. In addition, professional tours to the cities of Slovenia and neighbouring countries are organized for students. The faculty regularly holds cultural, recreational and sports events. The University of Maribor takes part in the Erasmus+ international exchange programme. This university has bilateral agreements with more than 500 universities in Europe, Asia, the South and North Americas, and Australia. Therefore, FGPA students have an opportunity to travel for study and internship purposes to different corners of the world. The University of Maribor also participates in a teacher exchange programme. The leading professors of Europe teach a number of academic subjects to the students of the FGPA Faculty. Studying under the Civil Engineering and Architecture programmes is a guarantee of obtaining fundamental higher education, which corresponds to the modern needs of our society. Graduates of the Master’s degree programmes offered by the FGPA Faculty are competitive in the international labour market. Young specialists with a diploma issued by the University of Maribor have broad career prospects. It is worth mentioning that Slovenia is close to representatives of the Slavic states in terms of mentality, culture and language, so that students feel comfortable and cosy here. In 2014, the University of Maribor won the International Study Portals Award for “The Well-being of Foreign Students in the University.” An average score given to the university by foreign students is 9.5 points on a 10-point scale. The main employers of young specialists are Slovenian and international construction companies, design workshops, engineering consultancy offices, architectural studios, municipal and state bodies. 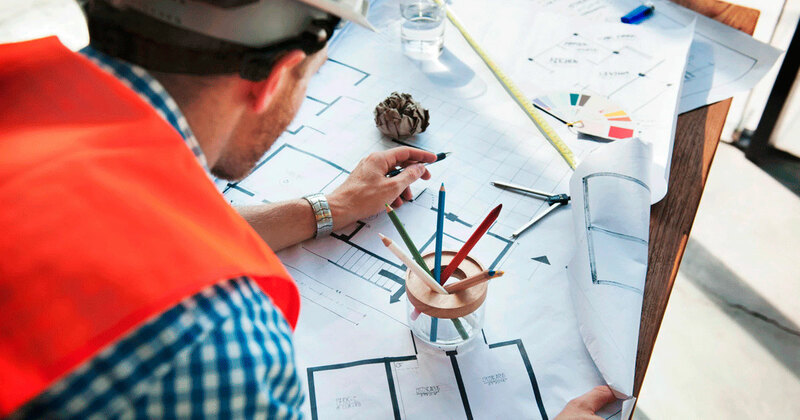 Graduates of the Civil Engineering programme can work as construction engineers, masters or heads of a construction site, specialists in a design department, technical supervision engineers. Graduates of the Architecture study programme are usually hired as architects, designers, landscape architects, interior designers, industrial designers. High level of training under the Master’s degree programmes makes it possible for the FGPA Faculty graduates to teach in colleges. Some young people after graduation give preference to independent entrepreneurial activity in construction and architecture. Therefore, it can be unequivocally asserted that studying at the FGPA Faculty of the Maribor University is an excellent solution for those who want to study abroad at a Master’s degree programme and obtain an interesting and sought-after profession after graduation. It is important to emphasise that the academic year in the universities of Slovenia begins on 1 October. Therefore, it is still possible to enter the Civil Engineering and Architecture programmes this year!